They watched from a small distance as kids and parents alike ran up with gifts…..little wrapped packages and decorative bags with fancy bows, plates of homeade cookies; all to show their appreciation for what she does for them everyday, but mostly for who she is to them. She’s not just the person who drives their school bus, she’s also their friend. Oh, she makes them mind the rules of the bus, but she also makes it fun. She’s the one who will listen to what they say when it seems everyone else is too busy or doesn’t care. She makes every ride to school an adventure, some days they’re an airplane, some days a cruise ship, some days she lets them choose. She will tell you all about the rewards and challenges of working with kids of all ages on a daily basis. Sometimes it just about wrenches her heart in two to see what hardships some of “the least of these” go through in their young lives. He stepped forward first, the boy in the shadows. As one of several foster kids, his life has not been easy. He held up a colored string, on the end of which he had tied a tiny puff ball, the kind you might use to make a craft project. He said, “Miss Elaine, ths is all I have to give you.” It was all she could not to burst into tears right there. 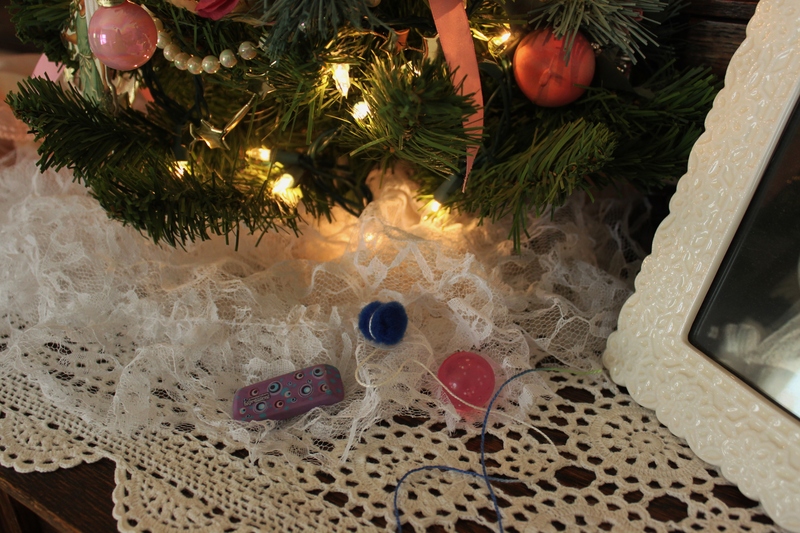 Then the next two gifts, a multi-colored eraser with a slightly used corner and a little pink bouncy ball, the kind you get from the 25 cent machine in the grocery stores. She said, “My Mom says we don’t have any money.” Oh the burdens these kids carry. She hears them all on the way to and from school. Sometimes she wishes she didn’t. Another child came and presenter her with a bag, in it were two candles. Well, turns out there were supposed to be three but he held onto the third one all day. At the end of the day, he presented her with it. It smelled like sugar cookies. He might have thought of keeping it himself and maybe his conscience made him give it up. Maybe it was his sister who caught him. These kids teach us what we sometimes forget, that the best thing you can give is sometimes all you have. Jesus is impressed with that. Just like that day in the temple when He saw the widow drop those two lowly coins in the offering box. He looked at His disciples aghast and astounded by her faith and generousity. Those three humble gifts that are now prominantly placed where they will never be forgotten. 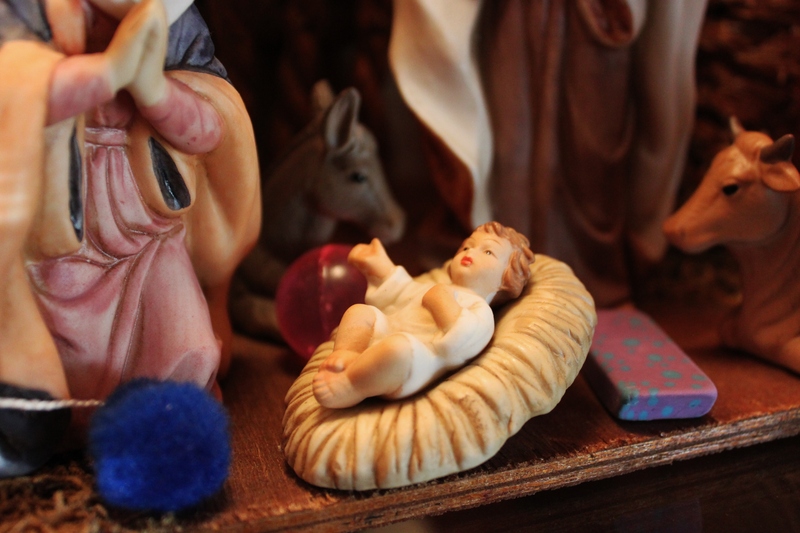 In the stable, by the infant King. I hope I will always remember it when I go to place my “excess” in the offering. And most importantly that I remember the most important lesson of all, that He doesn’t need or want my money, He wants my heart. This entry was posted in Uncategorized and tagged Advent, Children, Christmas, Everyday Faith, Friendship, Gifts, Grace moments, Gratitude. Bookmark the permalink. Susan…..yes they are. Hope you have a very Merry Christmas. I sure enjoy your photos, you have a true gift! Wow! Gulping down the tears, Lori. What precious gifts–reminding us of a valuable lesson. Thanks for sharing.